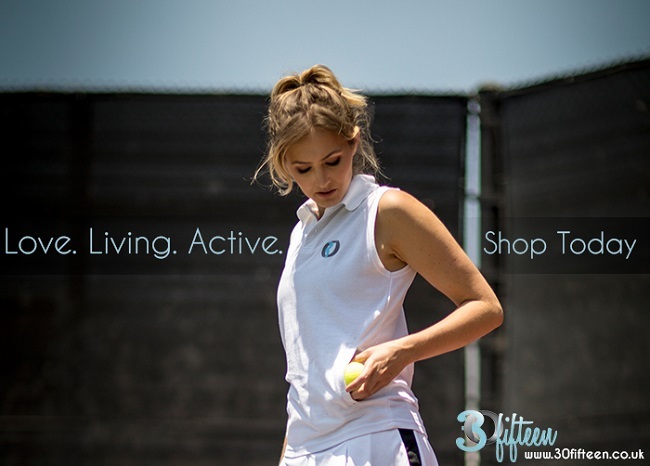 Introducing 30Fifteen, a women’s tennis wear brand originally from the U.K. 30Fifteen provides stylish, affordable tennis, fitness and lifestyle clothes, encouraging women to be active and feel confident. 30Fifteen’s collections are designed to offer a style to suit any body type, with attention paid to design, fit and quality of fabric, using technically finished fabrics for ultimate comfort. When you step onto the court you want to be focusing on nothing but your game, and that’s when you want to turn to 30Fifteen. 30Fifteen is motivated by the idea that “If you’re feeling good, you’re playing great.” 30Fifteen knows that this cannot come from clothing alone, so the whole brand is dedicated to offering tools that help women feel good allowing them to step onto the court with confidence. 30Fifteen’s latest collection hit pro shops and its online store in early September, get your hands on some of the pieces today! Take advantage of the season (of giving) and scroll through 30Fifteen.co.uk to purchase a look you’ll love. At AceSpace, we know that time is of the essence. Whether you’re scheduling tennis lessons a month in advance, or organizing an impromptu doubles match, you want the process to be quick. After all, if you can book a restaurant, a car, a hotel with just a few clicks–why not a tennis court? Founded in 2017, AceSpace is the premier court-booking platform in New York. The app easily locates available tennis courts in your area, eliminating the hassle of Web searches and phone calls. Whatever price, surface or time slot you prefer, AceSpace ensures you get the court you want, every time. Thanks to its staff of tennis enthusiasts, AceSpace was designed with both players and facilities in mind. We help tennis centers manage their bookings automatically, working as a stand-alone system or in tandem with older technology. We work directly with facility managers, bridging the gap between manual bookings and digitally-oriented players. Starting this October, our gift to you is a stress-free tennis schedule. Like the best tennis players, AceSpace is fast and reliable, and no matter how busy your life gets, AceSpace is ready to steer you towards the nearest clay, grass or hard surface. If you’re ready to #ClaimYourCourt, visit AceSpaceCourts.com to create your account now. Follow AceSpace on Facebook for updates, and we’ll see you on the court! ElSo is an authentic active lifestyle brand that engages in the design, development, and marketing of athletic socks, apparel and accessory products worldwide. Established in 2012 as a high-performance sock company, ElSo has built a strong reputation among its consumers as one of the highest quality sock makers in the industry. In January 2019, ElSo will be launching its inaugural men’s athletic line. ElSo’s sock collections use cutting edge designs paired with solution based features that are supportive, comfortable, and functional for the wearer. ElSo works closely with sock technicians and high level athletes to ensure the continual development of products that work. By eliminating cotton from the socks and replacing it with synthetic yarns and a practical layout, ElSo constructed products that are better able to wick sweat away from the feet, protect feet against blisters, provide secure padding and support where needed, and keep feet cool and dry. 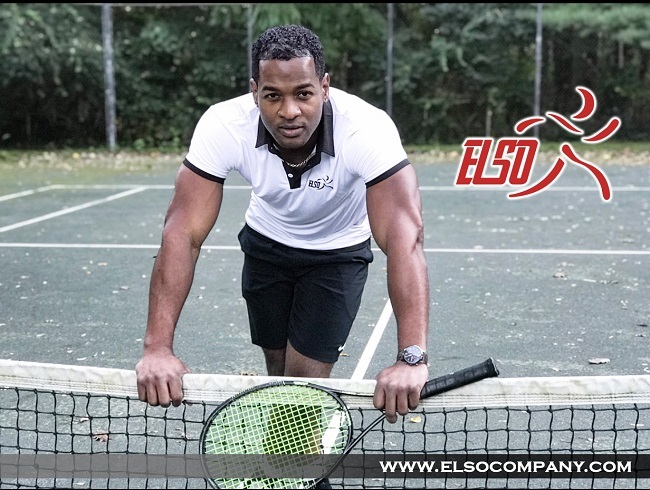 In 2018, ElSo began sponsoring junior and professional men’s and women’s tennis players, and plans on increasing the number of sponsored players in 2019. ElSo proudly represents stylish, confident athletes who display and exemplify the term BOLD. Please visit ElSo’s Web site at ElSoCompany.com. Follow ElSo on Instagram @elsoathletics. This is only the beginning. As ElSo continues to grow and develop new, sophisticated, and practical, active lifestyle products, the company aims to be a household name in the sporting apparel market. inPhorm is a distinctive collection of tennis, golf and active wear that has gained an avid following, not only amongst tennis retailers, but also among tennis players and a growing lineup of touring pros, as well as other celebrities. Creating environmentally-friendly international designer active and casual wear has been inPhorm’s mission since it was launched in 2008. Luxurious tennis, golf, active, and lifestyle outfits are made predominantly of recycled fibers and offer sun protection of a 50 UV. inPhorm is constantly devising new processes and technology to reduce the environmental impact of apparel manufacturing. Based in Dallas, Texas, inPhorm crafts every fabric and stitch of clothing in their own textile mills and sewing factories to ensure high quality from start to finish. inPhorm’s Creative Director, Saad Hajidin, resides in NYC. inPhorm recently announced its increase of sponsorships of young professionals on the circuit, three of whom played at Wimbledon this year, added to their inner-city fundraising to help young adults expand in their tennis goals, expanded their “Pay It Forward” Campaign, as well as added to their international sales force. inPhorm is now represented in the USA, Canada, UK, Switzerland, Germany and South East Asia. On the courts at Wimbledon, Indian Wells, the U.S. Open, Davis Cup or World Team Tennis, inPhorm-sponsored athletes and ambassadors define athleticism and beauty with an eco-conscious pedigree! You can visit the inPhorm Web site at inPhormNYC.com or call (214) 749-0300. Follow inPhorm on Facebook, Twitter, Instagram and Pinterest! Expect more great things from inPhorm, as the company expands their product mix, always mindful that the creation of high design does not preclude protecting the planet. Give The Gift of the New York Open This Year! The New York Open, Long Island’s professional tennis tournament, returns in 2019 and will once again bring some of the world’s best tennis players to NYCB LIVE, Home of the Nassau Veterans Memorial Coliseum beginning on Saturday, February 9. 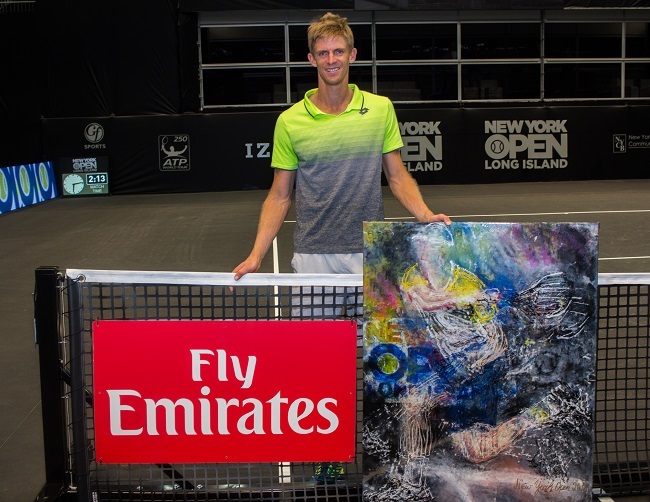 GF Sports, owner and operator of the ATP World Tour’s New York Open, has already received commitments from top players John Isner, Sam Querrey, the Bryan Brothers, and defending champion, Kevin Anderson, which will make for a star-studded week. Tickets are now on sale, and you can view the array of packages available by visiting NewYorkOpen.com/tickets/. Click Here to secure your Holiday Pack. Contact (516) 231-4848 or grouptickets@bse.nassaucoliseum.com for more information! 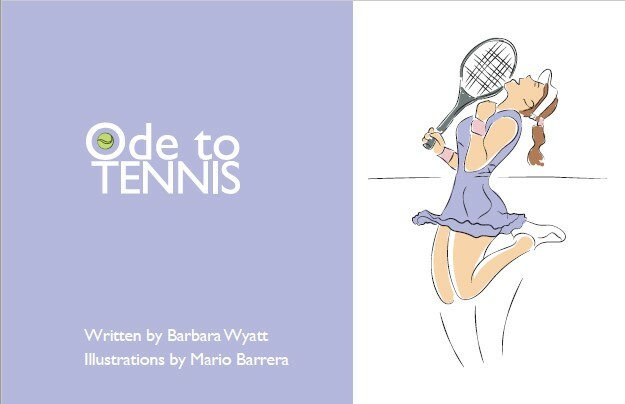 For the holiday stockings, give the gift of humor with the book, Ode to Tennis by Barbara Wyatt, featuring the delightful rhyming poem of a player in a tennis lesson. It’s the perfect little gift book for tennis players. The illustrated poem highlights a player's joy and frustrations during a tennis lesson, capturing the euphoria and struggles of players who take up the game of tennis later in life. “I’m more comical than Tina Fey! Ode to Tennis is available on Amazon for $9.95 (paperback) and $2.99 (Kindle). Servemaster: Give the gift of a Killer Serve! Are you looking to find a unique gift for that special tennis player this holiday season? We can guarantee that everyone on your list wants a better serve, right? So, give them Servemaster, a serve training aid that can be easily used by anyone, anywhere! Servemaster teaches by letting players experience what a real serve FEELS like. Then players can learn, change and improve through repetition on the court or at home. It comes in three lengths and weights so there is a Servemaster for every tennis player. And, it can be used to practice and improve ground strokes. You don’t understand what Servemaster is or what it can do for you? Go to TheTotalServe.com and watch instructional videos or sign up for FREE videos on that site. We also have wholesale pricing for pro shops, teaching professionals, academies and schools. All you need to do is e-mail Lisa Dodson for more information. 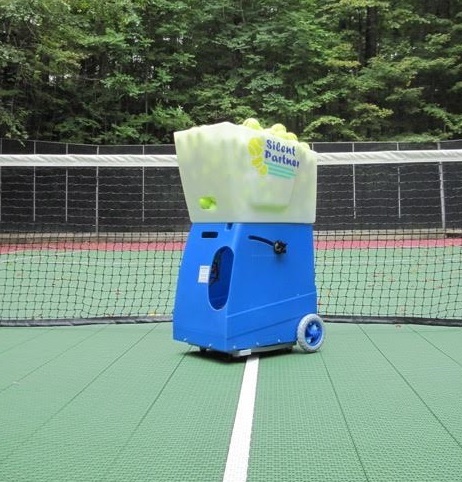 Give the gift of a Silent Partner Tennis Ball Machine this holiday season! Independently owned and operated since 1989, Silent Partner Tennis is celebrating its 30th anniversary! The machines make a great holiday gift for tennis buffs. Throw the machine in the car and take it anywhere. We have a range of portable machines with great features for beginners and experts alike. Plus, we pride ourselves on our customer service, so if you have any questions before or after buying your machine, feel free to give us a call! Check Silent Partner Tennis out online at SPTennis.com. Here is to another great year of tennis. Silent Partner Tennis hopes that it can help you make 2019 the best one yet. Happy holidays! Sports Made Easy has grown significantly in terms of size and the number of sports we serve in 2018. All of this is possible because of you, the residents of New York, New Jersey and Connecticut. As a special thank you, we would like to offer all Tri-State residents discount coupons to various local restaurants in your area. Take advantage of this free offer and download the Sports Made Easy app and set up an account to join our sports community, if you’re not already a member. Once you join, you will have access to various deals and offers from our partners such as Head, Joma and numerous local restaurants, as well as access to our sports venue booking service. We hope these features brings you and your family members joy and big savings this holiday season! 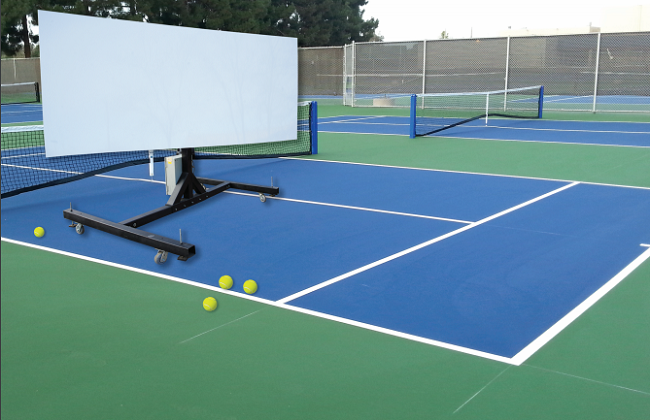 Competitive Sports Technologies (CST) has designed and manufactured “The Wall Advantage” a first-of-its-kind programmable device created to give you a tennis workout comparable to the best game you could imagine. We’ve handpicked the finest machinists and programmers to develop a rock-solid machine that is mobile, sturdy and allows players to practice in the venue they actually play in—not off to the side of a court. Players can customize their routines to intensify workouts—enabling them to fine tune their games. You can create your own programs, save it onto a flash drive and used on the machine for the perfect practice session. 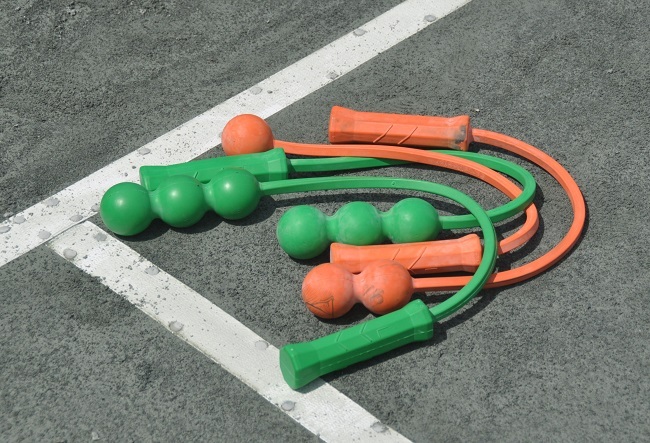 Not only can top tennis players use this; all levels of expertise can benefit. Since The Wall can be set up almost anywhere, we see great advantages for disabled tennis players as well as senior citizens and retired veterans. There are no limits to using “The Wall”, it is easy to use: Just set your program and play! Sports and technology go hand-in-hand, and “The Wall” is just the latest example of that. Find out more by visiting TheWallAdvantage.com, or contact cstllcusa@gmail.com. The idea for the company stems from the spinning the racquet before each match and saying; “Up or Down.” Regardless of what brand of racquet you play with, Up or Down applies to all tennis players. At Up or Down, we hope to capture the tennis enthusiasts who prefer to wear clothing that identifies them with the sport they enjoy so much. Our company was specifically formed for the tennis fans and players. Our performance t-shirts, tanks, and collared shirts are moisture-wicking for extreme lightweight comfort and breathability while playing on the courts. We also supply more leisurely clothing with our Up or Down lightweight hoodies for cool summer nights and moisture-wicking hooded sweatshirts for colder weather. Whether you are a tennis enthusiast or just enjoy a weekend game, show off apparel that defines you. Visit UpOrDownSpin.com for more information.